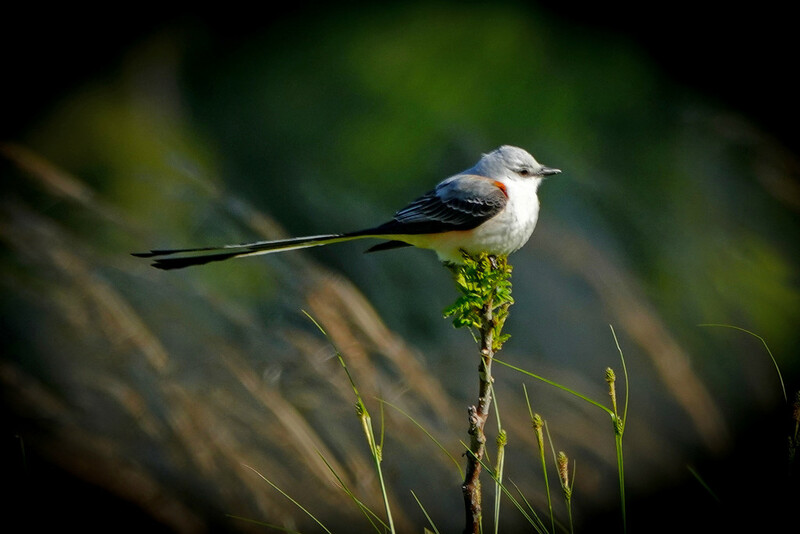 Kept following this scissortail flycatcher watching him flit about the field in a pretty good wind. Finally he found one sturdy weed to his liking and I was ready. Liked the background where he lit. A fabulous shot and great background, fav! Fabulous shot, a great result for all your effort! Such an impressive tail. Lovely shot. Huge fav! Too adorable, wonderful light, and love the pose.